Why Does Paul Ryan Hate And Fear The Message Jesus Christ Brought Mankind? The first was that some people simply are not ready for democracy. They have no functional conception of the state in their minds, much less an understanding of representative, deliberative democracy. Some are so poor that they can be bribed to vote this way or that for "five dollars," he said. The application of the principle of universal suffrage was not a recipe for successful government in these circumstances, the speaker argued. No doubt the Koch brothers will be eager to underwrite the development of that thesis. And no doubt there will be few Republicans who wouldn't be happy to embrace it-- and perhaps more than a few Blue Dog type Democrats as well. After all, Paul Ryan based his whole budget on similar premises, premises he got directly from the goddess he worships with so much fervour, Ayn Rand. And how can anyone even think of Ayn Rand and Paul Ryan without acknowledging the frightening novel by Stephen Goldstein, Atlas Drugged, which takes us into a future where Randian politicians like Mitt Romney and Paul Ryan have captured the government? Here's an excerpt about a workshop being offered that helps explain the mentality of people like Mitt Romney and Paul Ryan and what they're trying to do to this country. Here's how Mitt Romney has put these principles and values into practice in his own life, something he beleives qualifies him to be President of the United States. In re. Chas Koch vs. Cato: Chas wins! Chas wins! Chas wins! "I have every confidence that John [Allison]'s leadership will enable Cato to reach new levels of effectiveness. The alarming increase in the size and scope of government is undermining freedom, opportunity and prosperity for all. Effective action is required to limit government to its proper role." We'll all been understandably preoccupied with other developments this past week, related to the winding up of the Supreme Court term, which always means the release of its most dramatic decisions. Slipped in was the resolution of the great confrontation between the forces of ignorance and confusion over the future of the right-wing "think" tank the Cato Institute. (I don't mean that one side represented ignorance and the other confusion. I meant that it was a death struggle between rival visions of ignorance and confusion -- between, as I put it in my March post on the subject ("OMG! LOL! Charles Koch tries to regain control of the 'think' tank he left behind"), rival bands of right-wing "thugs and loons." "I have every confidence that John's leadership will enable Cato to reach new levels of effectiveness," said Charles Koch in a statement. "The alarming increase in the size and scope of government is undermining freedom, opportunity and prosperity for all. Effective action is required to limit government to its proper role." "As this resolution shows, we never sought a hostile takeover of Cato -- only a resolution to help further Cato's mission,” said Wes Edwards, deputy general counsel, Koch Companies Public Sector, LLC. It remains unclear why this arrangement could not have been reached sooner. According to documents obtained by The Washington Post, Crane had offered to step down in exchange for the dissolution of the shareholder agreement well before the first lawsuit was filed in March -- a deal the Kochs declined to accept. "This is the end of an era at Cato," said Cato Chairman Bob Levy. "For a majority of Cato's directors, the agreement confirms Cato's independence and ensures that Cato is not viewed as controlled by the Kochs," according to the release. "For Charles Koch and David Koch, the agreement helps ensure that Cato will be a principled organization that is effective in advancing a free society." My take on the death struggle over the Cato Institute was: "Let's just nuke up some popcorn, sit back and relax, and enjoy the thugs and loons duking it out." It all struck me as pathetically simple. Although the self-important libertarians at Cato, huddled under the standard of president Ed Crane, who had clearly lost Chas's confidence, style themselves as fearless independent thinkers, they seem to me just as backward and dimwitted as the tame loons at Mercatus. Chas's objection, I'm assuming, was that they weren't his backwards dimwits, and I'm assuming he doesn't like people, even earnest right-wingers, who aren't spouting his messages. And the legal wrangle over the inheritability issue gave him an opening. I read people who have reasoned it out to the belief that the anti-Cato position was a slam dunk in court. But it would have required a court, or a series of courts, in the case of possible appeals, to say that spousal inheritance rights are totally irrelevant. Such a ruling would certainly be possible, but a slam dunk -- not a chance. I'm not a lawyer, but I know enough about the workings of our courts to feel pretty strongly that it was no such thing. As long as it's understood that the centerpiece of Cato's mission is not to piss Chas off. Oh, the Cato crowd can cluck that under the settlement they won't be "viewed as controlled by the Kochs." Yeah, right. Hey, if that helps them get through the day. Closer to the mark, I think, is Cato Chairman Bob Levy's observation: "This is the end of an era at Cato." I suppose this could be read to refer to the departure of Ed Crane, who's run Cato since, well, forever, but even if you read the statement in that limited sense, Chas still wins. With regard to the question raised by Allen McDuffee: "why this arrangement could not have been reached sooner," when it's reported that "Crane had offered to step down in exchange for the dissolution of the shareholder agreement well before the first lawsuit was filed in March -- a deal the Kochs declined to accept": Isn't it again obvious? Details, Allen. I'm pretty sure you'll find out eventually that between then and now some details were worked out, above and beyond Chas getting Ed's head on a silver platter, that will make it easier for Chas to coexist with the new incarnation of Cato. I imagine that a man like Chas, when he thinks about his wealth, focuses not so much on the money he has as on the money he doesn't have, for no good reason he can think of. Same deal with propaganda outlets. Doesn't he have enough? 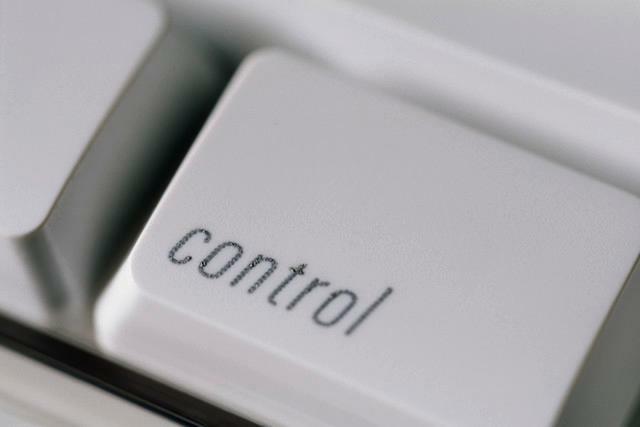 Perhaps not, for a man who likes to be in control, and doesn't seem to have the word "enough" in his vocabulary. The dispute over the gun-running operation in Mexico-- which may not have actually ever existed-- has been hyped as a Watergate-type constitutional scandal by the right. Of the 25 House Democrats who have accepted campaign contributions from the National Rifle Association, 11 shunned their benefactors and rejected the call to support the contempt vote. In total, 17 Democrats contributed to the overwhelmingly Republican-led ploy. In a statement following the vote, Holder railed against the “politically motivated” effort to distract the American people from the important issues at hand. “Today’s vote may make for good political theater in the minds of some, but it is-- at base-- both a crass effort and a grave disservice to the American people. They expect-- and deserve-- far better,” Holder said. “I had hoped that Congressional leaders would be good-faith partners in this work [to end flawed tactics initiated in previous administration]. Some have. Others, however, have devoted their time and attention to making reckless charges-- unsupported by fact-- and to advancing truly absurd conspiracy theories. Unfortunately, these same members of Congress were nowhere to be found when the Justice Department and others invited them to help look for real solutions to the terrible problem of violence on both sides of our Southwest Border. That’s tragic, and it’s irresponsible,” Holder said. After the major political letdown from the Supreme Court’s ruling on healthcare Thursday, and on Monday’s Arizona anti-immigration law Monday, Republicans finally have something positive to bray about. At least they didn't take their anger and mean-spiritedness out on American students. The House just voted 372-52 to stop-- for one year-- interest rates from doubling on federal student loans. Even the 17 bad Democrats voted in favor of this. And the 52... mostly a bunch of deranged teabaggers like Michele Bachmann (R-MN), Patrick McHenry (R-NC), Joe Walsh (R-IL), Connie Mack (R-FL), Sandy Adams (R-FL), Justin Amash (R-MI), Virginia Foxx (R-NC), Dan Quayle (R-AZ) and, of course, Gohmert and Herr Broun. Are Family Values Republicans Rushing To Return Tainted Prostitution Cash From Sheldon Adelson? Before Al Capone was finally convicted on income tax evasion America's #1 gangster was "an innocent man" and even palled around with corrupt politicians. 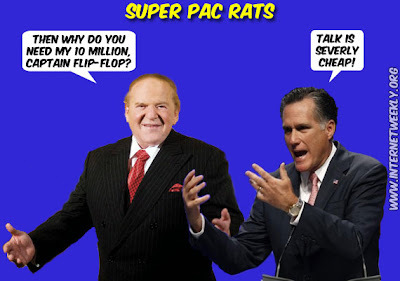 Today the biggest organized crime figure-- and biggest single Mitt Romney donor-- is Vegas-based mobster Sheldon Adelson. He has a myriad of serious legal cases pending against him but he has the best legal minds money can buy keeping him out of prison. Adelson and his Israeli wife have pumped tens of millions of dollars into the Republican Party-- partly protection money and partly to move forward his very specific agenda (everything from war against Muslim states and American unions to low taxes for billionaires and a gambling casino in Manhattan). 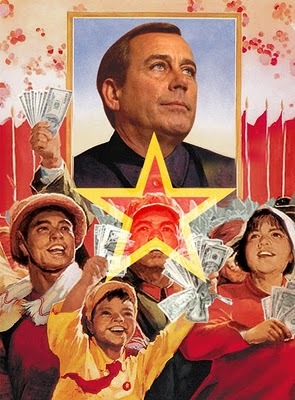 This week, though, it's been revealed that his $10 million to the Koch brothers, and $5 million each to Boehner's and Cantor's SuperPACs, he was getting the cash to funnel to the GOP by running a prostitution network in China. The fired former chief executive of Las Vegas Sands Corp.'s Macau casinos alleges in court documents revealed Thursday that billionaire Sheldon Adelson personally approved of prostitution and knew of other improper activity at his company's properties in the Chinese enclave. ...In the lawsuit, he accuses the company and Adelson of breach of contract and of pushing him into illegal activity in Macau, a former Portuguese colony near Hong Kong where Sands has established a strong business presence. The company owns the Venetian Macao and Sands Macao casino resorts, the Plaza Macao hotel, restaurant and shopping complex and the newly opened Sands Cotai Central resort with three hotels and two casinos. In documents revealed Thursday-- including a sworn seven-page declaration that Jacobs submitted along with a summary from his attorneys of problems obtaining documents from Sands-- Jacobs describes an effort he launched after arriving in Macau in May 2009 to rid the casino floor of "loan sharks and prostitution." "This project was met with concern as (company) senior executives informed me that the prior prostitution strategy had been personally approved by Adelson," Jacobs said in the documents. In his court filing, Jacobs alleges other documents that haven't been turned over include records of misuse of "blue card' work permits and the hiring of illegal workers in Macau; emails and records of Adelson controlling a "Chairman's Club" allowing favored members, including known or suspected organized crime figures, exclusive access to Sands China's most luxurious accommodations; and email requests from Adelson to a Macau lawmaker who Jacobs said was hired as outside counsel after Jacobs was fired. ...Jacobs' lawsuit has drawn interest from U.S. Justice Department and Securities and Exchange Commission investigator for possible violation of the Foreign Corrupt Practices Act, according to a filing with the SEC. The law bars American companies from paying foreign officials to "affect or influence any act or decision" for commercial benefit. No charges have been filed. The company and Adelson deny wrongdoing. They say the investigations stem from allegations by Jacobs. Sands also alleges that Jacobs stole confidential documents that might contain trade secrets. Adelson's latest scandal comes "as no surprise, given the Chinese territory has long been known as a haven for gangs and corruption. In fact, in December 2010, police rounded up more than 100 suspected prostitutes at the Sands’ Venetian Macao casino-resort while Adelson was in town." Adelson and his wife give exclusively to Republicans-- and only to Republicans known for loose moral standards. Among the crooked Republican politicians who have partaken in the tens of millions of dollars in naked legalistic bribes the two have them have been sending out are Scott Brown (R-MA), Virginia Foxx (R-VA), and Eric Cantor (personally over and over and over and above and beyond the leadership PAC he controls). It's more than a little strange that all the Republicans who have gotten money from the Adelsons and from their corporate PAC claim to be "family values" Republicans but none are willing to return the prostitution money that's tied to Chinese organized crime. I guess family values mean different things to different people-- depending on how big the checks are. And they sure don't mean giving back the millions of dollars Cantor has received from Adelson and his wife. That will never happen. As Wayne Powell, the progressive Democrat running for the Virginia seat Cantor is occupying, told us this morning, "This is typical of Eric Cantor. He will take money from any source to perpetuate his ongoing sale of influence to the highest bidder, as long as it supports his political advancement." Today's the last day of the congressional fundraising quarter. Feel like going up against Sheldon and Miriam Adelson? 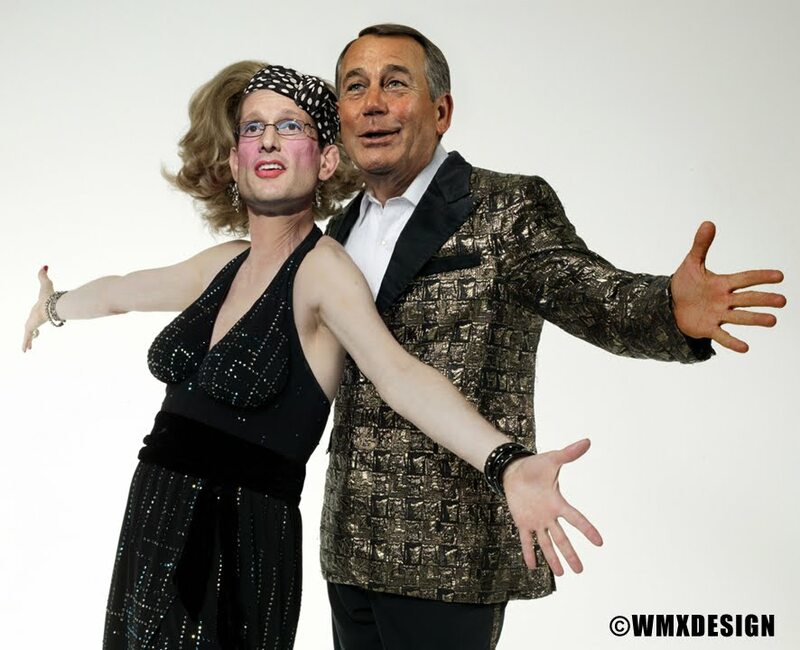 There's a special page dedicated to ending Eric Cantor's tragic political career: Eric Cantor. Did The Supreme Court Impose A Tax On Everybody? 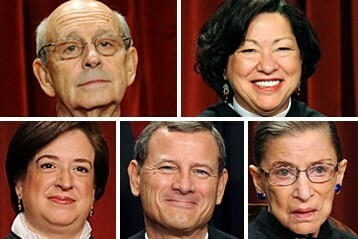 What's John Roberts On? The progress towards universal health care-- something that infuriates the greed-obsessed billionaires behind the Tea Party-- was bolstered this week when John Roberts joined the 4 moderates on the Court to declare it constitutionally sound. Within an hour, though, Republicans had their talking points. From Limbaugh, Hannity, anti-healthcare crusader Paul Ryan, Priebus and the Romney campaign all the way down the right-wing foodchain to Michele Bachmann and birthday girl Virginia Foxx... they all immediately started singing the same tune about the "biggest tax increase in the history of mankind." Slower Americans had to be excused for believing that the Supreme Court had just imposed a massive tax increase on every man, woman, child and precious zygote in America. In fact, hysterical Republican House Leader, Eric Cantor, a notorious Wall Street shill who's taken $6,347,965 in direct bribes from the finance sector (more than anyone else currently in Congress other than John Boehner) went so far as to claim that the ACA will raise the tax on stock dividends from 15% to 43%. There's no basis in truth to that whopper, none-- but that doesn't mean the typical Republican voter and some weak-minded independents won't believe it. In fact, there's no basis in truth to any of the lies about this bring a tax increase-- at least not for 99% of Americans. Chief Justice John Roberts-- The darling of conservatives, Roberts finds himself in the unusual position of being praised by the left and criticized by the right following the health care ruling, and to a lesser extent, the Arizona immigration case in which he also sided with the court's liberals. On one level, these demonstrations of a willingness to break with conservatives could burnish Roberts' reputation as the neutral umpire he told his confirmation hearings he sought to be. On the other hand, the conservative Roberts may be very much in evidence when the court takes up affirmative action in the fall. I suspect Eric Cantor and Paul Ryan have no interest whatsoever in anything Families USA has to say. If they did, they'd be better informed-- probably not something either is interested in. Yesterday they issued a report showing that millions of middle class American families (up to $88,200) will get a tax cut because of the ACA. The Patient Protection and Affordable Care Act (Affordable Care Act), enacted in March 2010, will extend health coverage to millions of Americans by expanding Medicaid to those with the lowest incomes and by creating a tax cut to help low- and middle-income individuals and families afford private coverage. These tax cuts will be provided in the form of new, refundable tax credits that will offset a portion of the cost of health insurance premiums. This report takes a closer look at these premium tax credits, which will go into effect in 2014 and will help Americans with incomes up to four times the federal poverty level ($88,200 for a family of four in 2010) afford coverage. The unique structure of the tax credits means that individuals and families will have to spend no more than a specified portion of their income on health insurance premiums. Families USA commissioned The Lewin Group to use its economic models to estimate how many individuals would benefit from the new premium tax credits in 2014 and the value of the dollars going to help pay for insurance (see the Methodology on page 12 for more details). We found that an estimated 28.6 million Americans will be eligible for the tax credits in 2014, and that the total value of the tax credits that year will be $110.1 billion. The new tax credits will provide much-needed assistance to insured individuals and families who struggle harder each year to pay rising premiums, as well as to uninsured individuals and families who need help purchasing coverage that otherwise would be completely out of reach financially. Most of the families who will be eligible for the tax credits will be employed, many for small businesses, and will have incomes between two and four times poverty (between $44,100 and $88,200 for a family of four based on 2010 poverty guidelines). However, because the size of the tax credits will be determined on a sliding scale based on income, those with the lowest incomes will receive the largest tax credit, which will ensure that the assistance is targeted to those who need it the most. As this key provision of the Affordable Care Act takes effect, millions of hard-working Americans will enjoy tax relief and the peace of mind that comes with knowing that they and their family members have affordable health insurance that they can depend on, even if they experience changes in income or become unemployed. [T]his whole linguistic rabbit hole we find ourselves at the bottom of raises the question: why not just call the whole thing what it is? Given how much Americans tend to love tax breaks and how relatively few “free-riders” there are who would incur unsubsidized new taxes under Obamacare, what political cost calculation led to all the talk of a mandate and a commerce clause in the first place? The answer lies in a decades-long war on taxes that has left Democrats paralyzed when faced with an advantageous opportunity to reclaim the term. Conservatives, well aware of their victory in this strategic front of the language war, use the weaponized word prodigiously. ...The full frontal assault on taxes was birthed by conservatives with an agenda to squeeze the life out of popular social spending initiatives in the latter part of the last century. Given how normative taxes were in American culture, the intellectual architects of the “Starve the Beast” strategy saw no way to force spending cuts without a high-profile campaign to destroy the funding mechanism. The fact that the Federal Treasury would be collateral damage was of no concern to these men, and any political consequence for an incoming Democratic administration was icing on the cake. George W. Bush’s deficit spending and casino style regulatory approach drove the American economy straight off a cliff after systematically dismantling the rescue squads. The subsequent mess is one that Republicans have delighted in watching Obama try to clean up, a task made even more impossible by Republicans who would rather see the economy destroyed than vote for an increase in tax revenue, even-- or especially-- on the country’s wealthy. But the impacts of this scorched-earth campaign are ominously visible not only in a policy agenda skewed towards the 1 percent but also in newly embedded cultural norms. When fire services were rendered optional in rural Tennessee as a way to curb spending in 2011, many residents opted out. After all, who ever believes that their house will burn until the sparks start flying? But in at least two heart-breaking instances, firefighters were forced to sit by and watch as peoples’ homes burned to the ground because of unpaid fees. The parallels are strikingly similar to the conservative outcry against the healthcare mandate, without which we would be forced to sit idly by while people suffer. As I wrote last week here, Justice Scalia’s endorsement of the “let them die” faction of the tea party in the healthcare hearings gave judicial credibility to a fundamentally anti-American posture of indifference-- a position reinforced by his dissenting opinion this morning. Do we really want to embrace an America where we watch our neighbors’ lives go up in flames? Given all of this, the irony of this much-reviled three letter word offering a parachute for a plummeting healthcare initiative is not lost on this progressive. As millions sleep easier tonight as a result of this ruling, it’s important to remember a few lessons as we forge ahead: Obama didn’t kill your granny, freedom is not actually dead and constitutionally protected taxes can-- and often do-- create a stronger America. That may be language actually worth fighting for. It was a source of fascination for all manner of more northerly creative artists, not just for the obvious reason (climate!) but for its position as the cradle of so much of Western culture, and there isn't any group for whom this was more true than musicians. If you don't want to play, you can skip straight to the click-through, where the piece and the performances are all properly identified. "The Newsroom"'s Charlie Skinner may not be afraid of dumb people, but the WaPo's credo seems to be: "Hey, dumb people buy papers too!" "I'm too old to be governed by fear of dumb people." I don't mean to do anything as grandiose as a "review" of the new Aaron Sorkin-written series The Newsroom, despite my enthusiasm for the trailer that HBO put up a couple of months ago. I get the impression that people were lying in wait for the show, which made me a little nervous about watching the first episode, first shown last Sunday, but I finally did, and I thought it was terrific. We used to be. We stood up for what was right. We fought for moral reasons. We passed laws, we struck down laws, for moral reasons. We waged war on poverty, not poor people. We sacrificed; we cared about our neighbors; we put our money where our mouths were, and we never beat our chests. We built great big things, made ungodly technological advances, explored the universe, cured diseases, and we cultivated the world's greatest artists and the world's greatest economy. We reached for the stars. Acted like men. We aspired to intelligence, we didn't belittle it. It didn't make us feel inferior. We didn't identify ourselves by who we voted for in the last election, and we didn't scare so easy. We were able to be all these things and do all these things because we were informed. By great men, men who were revered. The first step in solving a problem is recognizing that there is one. America is not the greatest country in the world anymore. Enough? I think it's important to note that this outpouring, as written by Sorkin and performed by Daniels, isn't a political tract. Sorkin writes people, and Daniels understands wondefully that this is Will scrambling to get control of a situation in which he's already blurted out a bunch of stuff he's been sitting on in the years since he finally accepted the conventional wisdom of his profession, that it's impossible to produce a news broadcast that's simultaneously (a) the most accurate and best understood representation of the news you can manage and (b) commercially viable. "We aspired to intelligence, we didn't belittle it. It didn't make us feel inferior. . . . We were able to be all these things and do all these things because we were informed." I can't help connecting this to a couple of recent cries for help I encountered -- both, by coincidence, on washingtonpost.com. spewing from the white house. You leftists are pathetic." In a recent WaPo "In the Loop" column, wrote admiringly about his WaPo colleague Dave Maraniss's much-talked-about new book Barack Obama: The Story ("An Obama book the Obamas should read"): "your typical Maraniss book: beautifully written, meticulously researched, a serious effort to understand a complex character." The goofy political canards of the "Muslim Kenyan" -- so much fun for the fringe for a while -- melt away as Maraniss talks to a teacher at the Catholic elementary school that Obama attended in Indonesia. The "birther" silliness evaporates as he talks to folks who were in Honolulu when Obama was born. Al goes on to cite Maraniss's correction of "many tales in the president's best-selling memoir, Dreams From My Father" (which Maraniss describes, not as "fiction," but as "literature"). and of "the family lore about his stepfather's dad being killed in Indonesia. Obama's dope-smoking days, the constant search for where he fit in, the aloofness, the wariness -- all are explored. His years in school in Hawaii, it would appear, may be the most useful for understanding Obama's approach to dealing with people and situations. NUTS. He is a phony and a liar despite all the propaganda spewing from the white house. You leftists are pathetic. I think it's important to step back and reflect that this outburst, which is far from narrowly held among the citizenry, is "independent of accuracy," to borrow the outrageous political-science euphemism I was horrified to encounter recently. It is in fact based on absolutely nothing that can be observed in the real world. And yet, shamefully, it has been tolerated and even encouraged by lying scum occupying the rightward half of our political spectrum. the Arab Spring mostly by not making a difference." At least that's only a reader comment. I was already stewing over a column written by the Post's deputy editorial page editor, Jackson Diehl, "Is Obama to blame for the Arab Spring’s failures?" In case you're wondering, I'll spare you having to read this pile of imbecilic, lying puke, and break the news that the answer is a resounding YES!!! Apparently, you can't slip anything past this genius. He has looked up and discovered: "Today the badly misnamed 'Arab Spring”'is beginning to look like an epic mess." As if everyone with a working brain didn't foresee pretty much this exact outcome. But because our Jackson is both an imbecile and an ideological hooligan, it's apparently all news to him. And so he's been running around to breathlessly pump "experts" to find out what went wrong. "Predictably," he writes, "the answers have been widely varying, and often contradictory. But there are two points of consensus: Of course the United States and its president had an influence on how things turned out; and, for the most part, it was a negative one." Which already means that he's chosen his "experts" imbecilically, because anyone who actually looked at the situation with a working brain could have seen that while the downsides forecast by all those partisan observers were all correct, none of the upsides had a lick of a chance of taking hold. And you would think the lamebrain would be able to see this from the diametrically conflicting nature of the opinions he has gathered. But no. Taken together, these disparate comments actually add up to a coherent critique. Obama’s biggest failing in the Arab Spring is not that he chose the wrong side; it is that he has waffled back and forth. He has been consistently indecisive, irresolute and reluctant to act. 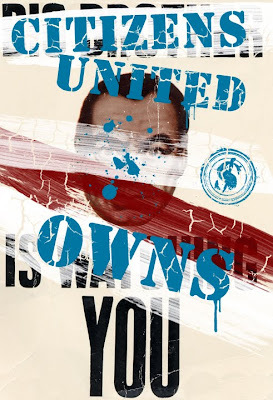 As a result he has alienated both regimes and revolutionaries, and squandered U.S. leverage. In short, Obama has made a difference during the Arab Spring mostly by not making a difference. By failing to decisively use U.S. aid, diplomatic influence and military power to support the removal of dictators and the beginning of democratic transformation, he has helped tip the balance toward the old regimes -- or chaos. No, the mess is not his fault. But he deserves a share of the blame. But of course there was no point at which the U.S. had any leverage to prevent an outcome of either the survival of the old regimes or chaos. Every action we could have taken would have produced a reaction that would have sped the path to one or the other of those outcomes. It's only because our Jackson went in with an answer to his question of whether it was Obama's fault that he is able to miss this. Well, that and the fact that he apparently doesn't know a frigging thing about the Middle East or the Arab world. He's just a brain-dead thug for hire. Which brings us to the question of why a supposedly reputable newspaper would be hiring him in any capacity, let alone as deputy editorial page editor and a columnist specializing in foreign affairs. I think it's safe to say that, unlike The Newsroom's Charlie Skinner, the Post is by no means "too old to be governed by fear of dumb people." Apparently at the Post they're not only afraid of dumb people, they worship them. So now that we've gotten healthcare reform and Fast & Furious out of the way, let's move on to invasions from other planets. If, like millions of Americans, you're addicted to Ancient Astronauts and believe we've been visited before-- yes, "they" built the Pyramids, gave us our religions (all of them except, ironically enough, Scientology), killed off the dinosaurs for us, fixed our DNA so our thumbs would work right, etc, etc-- then you know we'll be visited again, probably pretty soon. I already was 3 times. How many times has Alicia Cohen been visited? More Americans are confident in President Obama’s ability to handle an alien invasion than in Mitt Romney’s, according to a new poll released Wednesday. 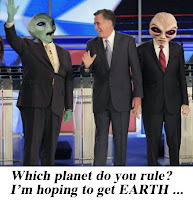 In a survey conducted for the National Geographic Channel, 65 percent said they’d pick Obama to deal with an invading alien force over Romney. Obama also took the confidence vote among 68 percent of women surveyed, likely a key voting bloc in this scenario as well as in the November election. In addition, about 79 percent of those surveyed think the government has kept information about aliens and UFOs a secret from the public. Despite that widespread suspicion, only 36 percent actually think UFOs exist, 17 percent don't, and 48 percent aren't sure. The White House is pretty sure, though, and last December officially announced that the government has found “no evidence” of extraterrestrial life and no "credible information" indicating a cover-up. ...Just in case Obama doesn’t come through in the event of an alien attack, 22 percent of those surveyed believed they could attempt to “befriend” extraterrestrial life, much like the children did in Steven Spielberg’s 1982 film E.T. : The Extra-Terrestrial. In addition, 55 percent believe that government agents of the type depicted by Will Smith and Tommy Lee Jones in the movie series Men in Black actually exist. By the way, these people all have has much right to vote as you do-- including the 21% (and they're not all in Mississippi and Arkansas-- who actually think we could call on The Hulk-- after all, look what he accomplished in The Avengers-- or perhaps Batman (12%) or Bat Man (8%). And yes, all the people who want to call on Bat Man to defend us from an alien invasion are in Mississippi and Arkansas. Endorsements are a funny thing. Most of them aren't worth anything at all. People and groups endorse candidates for all kinds of reasons. When a candidate comes to me and says they're being backed by the DCCC, all it tells me is that I have dig extra hard to find out what's wrong with the candidate, since the DCCC is notorious for endorsing conservatives with a distinct lack of ethics. Labor unions? The Building Trades unions of the AFL-CIO have given most of their money this year to Republicans and of their 5 top recipients, 3 are Republicans. A whole slew of professional Beltway liberal fundraising groups are endorsing Patrick Murphy, a lifelong Republican running as a New Dem against an especially heinous teabagger, Allen West. On the other had, when I see PDA or Raúl Grijalva, let alone both, have endorsed a candidate... that's golden. I have two friends running in the Democratic primary in Arizona's brand new 9th CD, Kyrsten Sinema and Andrei Cherny. Kyrsten is a progressive and Andrei is somewhere in his own world ideologically. But the third guy... well, he's the one who's been endorsed by Raúl-- and by PDA. This is important. The 9th is in Arizona, McCain's home state, but if the district would have existed in 2008, Obama, who did't even campaign there, would have beaten the home state senator 51-47%. The district is even more Democratic-leaning now. Whomever wins the August 28th primary is, likelier than not, headed to Congress. That third guy is David Schapira, the Senate Democratic Leader. He's written that he opposes "continuing or starting wars of choice when so many Americans are struggling at home. I support the advancement of alliances that will promote prosperity around the globe and believe that America must work to create new partners in the international community, not new enemies. In Congress, I will work tirelessly to advance the cause of education that will develop green energy technologies in order to reduce our reliance on foreign energy sources and create a sustainable economy." That sounds about right... and I asked him to introduce himself to DWT readers. Fortunately for us, he agreed. The Supreme Court’s decision to uphold the Affordable Care Act is a win for millions of Americans for whom healthcare would not otherwise be accessible. Healthcare is a very personal issue for me. As a childhood survivor of cancer, I would be uninsurable in the open market without the requirement of insurance companies to cover people with pre-existing conditions. The belief that everyone has a right to healthcare should not be a partisan issue. We are morally obligated to find ways to make healthcare more affordable and accessible to all Americans. This is why we need a public option. There were many courageous Democrats in Congress who voted for the Affordable Care Act, knowing that it could cost them their jobs. Many Democrats across the country advocated for the legislation to include a public option, however, they supported the legislation because it was a step in the right direction. Sadly, there were also some Democrats, including my opponent, who ran away from Obamacare in the months after the vote. Today, we need leaders who are willing to communicate our progressive values, not only to the voters, but also as members of Congress. Now, more than ever, we need Congress to focus on the next important step in healthcare reform: a public option. That is why I am running for Congress in Arizona’s new Ninth Congressional District. I believe that my community, state and nation deserve a Congressman who will stand up for working-class Americans. I need your help in this endeavor. First, let me tell you a little about myself. I am the Senate Democratic Leader in Arizona. I am a former high school math teacher, and I decided to get involved in politics because I became very frustrated that the kids that I taught did not have the same opportunities I had in growing up. At the age of 26, I disregarded the advice of nearly everyone around me and challenged a ten-year incumbent Republican in a district with a Republican registration advantage in a race for the State House of Representatives. In the end, I won by over 3,000 votes because the voters shared my vision of a strong public-education system and appreciated that I was willing to discuss that vision with them at their doorsteps. 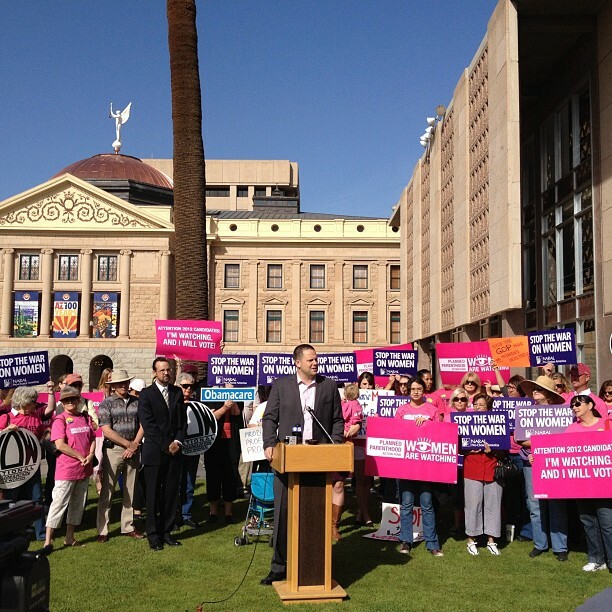 In the Arizona Legislature, I have been on the front lines of fighting against the extreme agenda of Arizona’s Tea-Party Republicans. When leading Democrats in our state distanced themselves from the recall of former Senate President and SB1070 author Russell Pearce, I publicly supported and even hosted a fundraiser for the recall effort. While some backed off holding both Republicans and Democrats accountable for various ethics scandals, I proposed the most extensive ethics reform legislation in Arizona history. I also sponsored comprehensive anti-bullying legislation and took on a right-wing advocacy group, who opposed the bill because of their homophobic agenda. When Governor Brewer tried her hand at union busting, we stood tall and led the fight (watch my interview on The Ed Show here) against these anti-worker bills dubbed “Wisconsin-on-Steroids.” I’m proud to say the public response was so overwhelming that the bills were killed before they could reach the Governor’s desk. I have been a staunch supporter of giving power back to the people in my state. Arizona’s Clean Elections system allows candidates to run for office using a public finance system, getting some of the undue influence out of politics. Republicans have consistently attacked the system, along with the help of some Democrats. I am the only candidate in my race to consistently participate in and publicly support Clean Elections. In Congress, I will fight for the federal Fair Elections Act, bringing public financing to all federal campaigns. I am proud to have earned the support of Congressman Raúl Grijalva, co-chair of the Congressional Progressive Caucus, and the Progressive Democrats of America in my campaign for Congress. They know they can trust me to make education a national priority, defend Social Security and Medicare, fight for a public option for healthcare and advocate for the Fair Elections Act. We need leaders who will stand up to the Tea Party in Washington. I have a proven record of being a consistent and effective voice for progressive values. For me, this race isn’t about advancing my career or climbing the political ladder - it is about the people of my community and our country. I need your help to spread our message. Together we can make the case that the economy and education are inextricably linked. If we are ever going to truly recover and be competitive in the global economy, we need to make education a national priority. Arizona’s Congressional District 9 is one of the districts that Democrats need to win back the House majority in November. Help me bring our shared values to Washington, and I will achieve real results for middle-class families. Your donation by the end of this financial quarter on June 30th will make all the difference to help me fight back against the special interests that are sure to play a role in this race. Remember, when Democrats hide from their convictions, they lose. I’ve won as a progressive in Arizona before, and with your help, I’m going to do it again. I'm not a religious guy, but I want to start by quoting three prophets. Actually Jesus was even a step beyond a mere prophet if Christian traditions are to be taken at face value and he's famous for having said "And again I say unto you, It is easier for a camel to go through the eye of a needle, than for a rich man to enter into the kingdom of God." A few hundred years later, Muslim tradition reports that Muhammad said “Our true wealth is the good we do in this world. None of us has faith unless we desire for our neighbors what we desire for ourselves.” And quite some later, Brigham Young told his followers that "The course pursued by men of business in the world has a tendency to make a few rich, and to sink the masses of the people in poverty and degradation. Too many of the elders of Israel take this course. No matter what comes they are for gain-- for gathering around them riches..." Jesus, Muhammad and Joseph Smith all threatened dire consequences for the greedy and avaricious. "We now have the most unequal distribution of wealth and income distribution in our modern history." "Today, the wealthiest 400 individuals own more wealth than the bottom half of America - 150 million people." "Today, the 6 heirs to the Wal-Mart fortune, own more wealth than the bottom 30% – 90 million Americans." 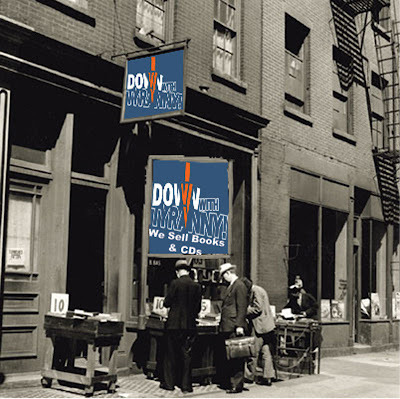 • World War II (1941–1945): The top tax rate varied from 88 to 94 percent. • Postwar under Truman and Eisenhower: The top rate bounced around from 81 to 92 percent. • The Clinton years: Clinton raised Bush’s top rate of 31 percent to 37 percent and then to 39 percent. • The first two Roosevelt administrations (1933–1940). When Roosevelt came into office, Hoover had already raised the tax rate in 1932 from 25 percent to 63 percent. Roosevelt raised it again in 1936 to 79 percent. As surely as water rushes in to fill any opening or crevasse, wealth rushes in to take over any society it is embedded in. We've all seen in recent years how a few wealthy families and their corporate enterprises have sought to undermine American democracy. When I say all billionaires must be "eliminated," I'm not talking about violence-- God forbid; I'm talking about going back to sensible, equitable tax policies that serve society rather than a handful of wealthy parasites. And, as Russ Feingold, noted yesterday, the Supreme Court has sparked a "constitutional crisis" by becoming "a partisan arm of corporate America." Feingold is particularly concerned about the Supreme Court's relationship to corporate power. 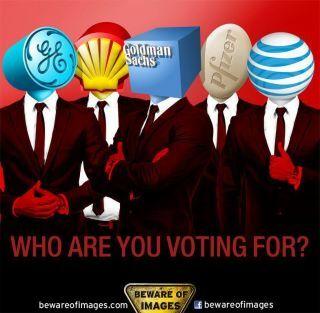 "What they have clearly become is a partisan arm of corporate America. This is a real serious problem for our democracy," he said. "It's essentially a court that rules in one direction." "Even if they do uphold the health care law, this court is no longer perceived as the independent arbiter of the law that the people expect them to be," Feingold added, referring to the highly anticipated decision coming Thursday. According to a study by the Constitutional Accountability Center, the U.S. Chamber of Commerce, the chief business lobbying group in Washington, has a 68 percent win record in the Roberts Court on cases in which it has filed briefs, far higher than during similar recent periods of stability in the court's membership. Linking the Roberts Court to previous courts that stymied progressive change-- the Supreme Court of the Gilded Age, the 1905 decision in Lochner v. New York and the court's initial resistance to the New Deal-- Feingold said, "This is one of those moments where the court thinks it's the legislature." Next Tuesday Blue America will be hosting a live chat at Crooks and Liars with Raúl Grijalva. It's worth watching his speech on the floor of Congress yesterday about the dangers of Dark Money the very wealthy are using to undermine democracy. Be it the rampant nepotsim, his bribes from Angelo Mozilo of Countrywide Mortgages, his outrageous relationship with armaments manufacturers in general and the drone industry in particular or any number of things, it's widely acknowledged in Washington that Buck McKeon is one of the most corrupt Members of Congress. Although McKeon has publicly stated over and over that he is not being investigated by the House for any of his corrupt practices-- and there are new ones being revealed almost every day, more than any other congressman-- this week the nonpartisan watch dog group, Citizens for Responsibility And Ethics in Washinton, revealed that McKeon is indeed under investigation by the House Committee on Oversight and Government Reform (Darrell Issa's outfit). Under Investigation by: The House Committee on Oversight and Government Reform. Under Investigation for: Rep. McKeon, along with at least three other congressmen, is under investigation for possibly receiving a preferential mortgage rate from Countrywide Financial. 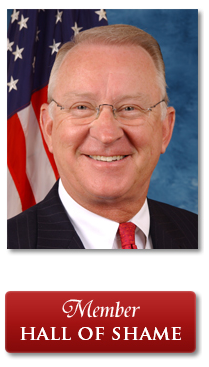 On January 17, 2012, Rep. Elijah Cummings (D-MD), ranking member of the Oversight and Government Reform Committee, said in a letter to the committee’s chairman, Darrell Issa (R-CA) that Rep. “McKeon appears to have obtained a significant discount on his VIP loan as a direct result of personal intervention by Countrywide CEO Angelo Mozilo.” Rep. McKeon’s spokesperson said he did not knowingly receive any special treatment from the company. Status: In December 2011, Rep. Issa referred Rep. McKeon’s case to the House Ethics Committee. The Oversight and Government Reform Committee is continuing to investigate Countrywide Financial. The status of the ethics committee’s investigation of Rep. McKeon is unknown. It has also come to our attention that McKeon is under investigation by the FEC for violations of campaign finance law. His challenger, Dr. Lee Rogers, filed a complaint with the FEC earlier in June outlining a violation involving Buck McKeon using campaign money to pay for a mailer that benefited his wife's state assembly race. She lost miserably, by the way. Rogers stated that another FEC complaint would be filed providing evidence that Buck McKeon received a gift from a corporation. 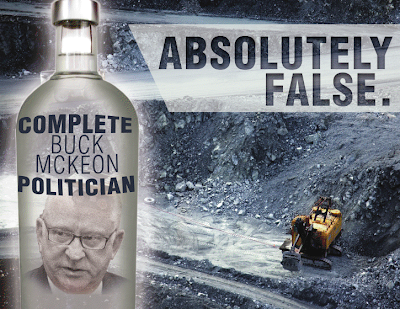 Even stalwart conservative groups are sick and tired of McKeon's self-serving double-dealing. The Madison Project is never going to get behind McKeon's progressive opponent, but they added McKeon to their Hall of Shame and will not endorse him for reelection. Many Republicans in Santa Clarita and Simi Valley are supporting Rogers against McKeon, not because of partisan politics but because of McKeon's corruption and his refusal to serve the interests of his own constituents instead of the special interests that have him on their payrolls. In his 19 years in the House, McKeon has been a consistent vote for big government and spending. In 2011, he voted for all the debt and spending bills and against the RSC budgets and spending cuts. In past years, he voted for Cash for Clunkers, TARP, and the Freddie/Fannie bailout. Throughout his tenure on the Education Committee, McKeon has been a strong supporter of federal involvement in education. It is important to note that, as Chairman of the Armed Services Committee, McKeon has been a solid voice for a strong national defense (which is often not reflected in a voting record); however, his record on fiscal issues is terrible. Thankfully, Howie already dealt this morning with the meat of today's big announcement from the Supreme Court regarding the Affordable Care Act (ACA). I just want to add a few random additional thoughts. * I think now we have a better idea why Justice Nino "The Mushroom Cloud" Scalia went berserk the other day at the Court's announcement of the unexpectedly centrist Arizona immigration ruling -- knowing he had an even bigger loss in the hopper. * Not surprisingly, within minutes if not seconds of the announcement, there was House Speaker "Sunny John" Boehner declaring that by gosh the House, as promised, will move to repeal everything of the ACA that's left standing after the High Court ruling. For once, though, it really shouldn't matter. Boehner's crackpot House majority has had immense power in this session of Congress because it has the power to prevent any legislation that requires approval of both houses from passing. This has meant that for all necessary budget legislation, legislating has been impossible without coming up with formulas acceptable to the crackpots. Do nothing, and they get their way, since in most cases their preference is to do nothing. It is, after all, what they're best at. But this time nobody should care what they pass, because they're trying to repeal, not pass. The best they can do is try to hold other legislation hostage with it. Of course they'll be milking the ACA's unpopularity for all its worth, and perhaps they'll get their money's worth. But it's also possible that with the luxury of some breathing space, proponents of the better portions of the act can begin to inject some measure of reality into the public discussion. * As for the discussion that has monopolized most of the response to the announcement -- who wins and who loses politically -- oh jeez, gimme a break. * Speaking (as I was) about Justice Nino's bizarre tantrum on the bench, E. J. Dionne Jr. has a terrific column today ("Scalia must resign") in which he argues that if the justice truly wishes to be a political figure, as was the case in his rant, he has the simple option, indeed obligation, to resign from the Supreme Court. Amen, brother! Does John Boehner Have The Balls To Have Eric Holder Arrested? Does The DCCC Have Any Balls At All? Career criminal Darrell Issa was appointed chair of the House Committee on Oversight and Government Reform by John Boehner for one reason-- to somehow bag a high ranking Democrat doing something "wrong." He focused on Attorney General Eric Holder and found some kooky right-wing conspiracy theory about Obama seizing all their guns to run with. The Justice Department strategy was to roll up gun smuggling networks operating in the Southwest between the U.S. and Mexico by nabbing high level crime figures rather than low-level foot soldiers. 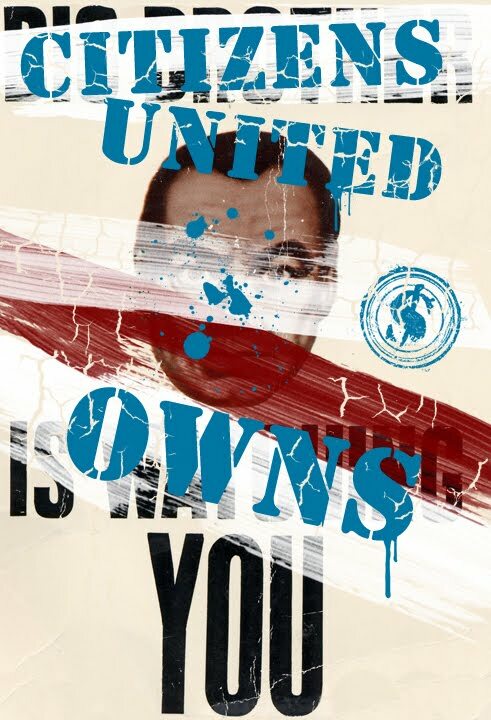 This was always an implicit threat to the money behind the NRA and Larry Pratt's Gun Owners of America. When Issa brought up his partisan, trumped-up contempt charges against Holder in his committee, the vote was strictly partisan. Every single Republican voted for contempt and every single Democrat voted against contempt, including the committee's one Blue Dog, who can often be counted on to support crazy Republican initiatives, Jim Cooper of Nashville. Yesterday the procedural vote to allow Issa to move forward passed 254-173, every Republican plus 15 Democrats-- John Barrow (Blue Dog-GA), Dan Boren (Blue Dog-OK), Leonard Boswell (Blue Dog-IA), Ben Chandler (Blue Dog-KY), Joe Donnelly (Blue Dog--IN), Kathy Hochul (New Dem-NY), Ron Kind (New Dem-WI), Larry Kissell (Blue Dog-NC), Jim Matheson (Blue Dog-UT), Mike McIntyre (Blue Dog-NC), Bill Owens (New Dem-NY), Collin Peterson (Blue Dog-MN), Nick Rahall (WV), Mike Ross (Blue Dog-AR), and Tim Waltz (MN)-- voting AYE. Today’s vote by the House of Representatives is just another example of the Republican leadership’s fondness for playing political games instead of governing. That’s why I am proud to join my fellow Democrats in an action to protest today’s contempt vote. 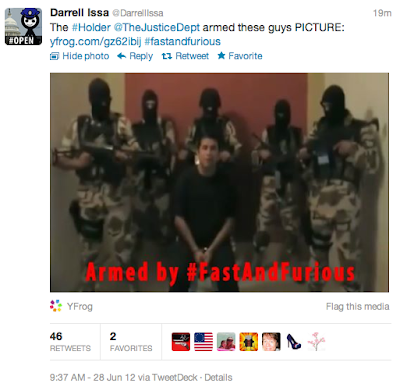 I agree that the ‘Fast and Furious’ operation deserved a methodical Congressional investigation-- this is our oversight responsibility. The family of Customs and Border Protection Agent Brian Terry, who was shot with a gun that had been trafficked-- or ‘gun walked’-- into Mexico deserves a full explanation of what happened. However, the investigation has ignored the fact that the Bush Administration started this program, which let weapons traffickers buy thousands of guns. The Obama Administration acted decisively to stop the program and Attorney General Eric Holder condemned the approach. He then called for an independent investigation of the botched program, testified before Congress on the matter seven times and provided more than 6,000 pages of documents. Yet, once again the Republicans won’t take ‘yes’ for an answer and have turned this tragedy into a political football. Instead of the House Republicans taking action to invest in jobs they have used this investigation for political gain. It’s time to end the partisan witch hunt and to start working on the American people’s behalf. The ones in bold are all scheduled to receive between one and two million dollars this cycle from the DCCC for their reelection campaigns or in the form of attack ads against their GOP opponents. This week Larry Pratt, the deranged head of the right-wing fringe lobbying group, Gun Owners of America has been running around threatening congressmembers about the vote. And so was the slightly more mainstream NRA. They claim Holder is involved with a bunch of crazed right-wing conspiracies including murder and seizing their guns... all sorts of insanity for the GOP base. But what they've been demanding is that Blue Dogs and other right-wing Democrats give Boehner and Cantor the opportunity to call the contempt vote "bipartisan." The NRA says this is a do-or-die vote... you're either with us or against us. I find it amazing not that the right-wing Blue Dogs who were the first to buckle to the NRA/Gun Owners of America threats were Jim Matheon (UT), John Barrow (GA) and Mike McIntyre (NC) but that each of them is on the DCCC Frontline program and that the DCCC will waste between a million and two million dollars trying to save each of their necks. Barrow has virtually no chance of winning but that won't stop the DCCC from wasting money that could be used to defeat Republican villains like Eric Cantor, Paul Ryan and Buck McKeon. If you give even one dollar to the DCCC, most of it will be spent to support right-wing fake Democrats like these galoots. If you want to support Democrats who support your values and principles give directly to those candidates-- like these candidates-- and never through untrustworthy and systemically corrupt organizations like the DCCC. So what happens next? The Washington Post got a Cornell law professor, Josh Chafetz, who's working on a book about congressional power and the separation of powers to elucidate some of the possibilities. Under an 1857 statute, the House can refer the matter to the Justice Department for prosecution in federal court. But the department would almost certainly exercise its prosecutorial discretion and refuse to charge its own leader. Indeed, that happened in 2008, when the House held George W. Bush administration officials Harriet E. Miers and Joshua B. Bolten in contempt for failing to comply with subpoenas related to the 2006 firing of nine U.S. attorneys. 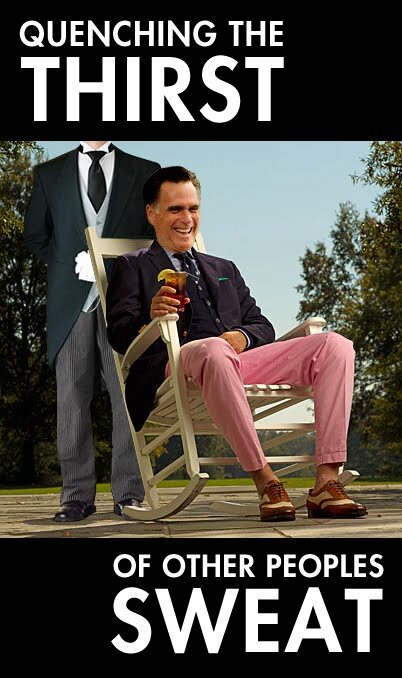 ...[The House] can send its sergeant-at-arms to arrest him and hold him until his contempt is purged. The House has arrested and held executive-branch officials twice in U.S. history, although the last time was nearly a century ago. And traditionally, courts will inquire into the House’s jurisdiction to arrest-- which undoubtedly exists here-- but not its reasons for doing so. This option is risky; it even raises the possibility of a standoff between the House sergeant-at-arms and the executive-branch police tasked with protecting Holder. But executive-branch contempt of court also raises the possibility of a standoff between judicial marshals and executive-branch police. Such risks are always attendant in high-stakes separation-of-powers controversies. The House could also impeach Holder-- and there is a good argument to be made that impeachment, which must be tried in the Senate, is the way to go after a Senate-confirmed Cabinet officer. The Democratic Senate may refuse to convict Holder, but simply facing impeachment proceedings is quite punishing-- just ask Bill Clinton. Press Secretary Dan Pfeiffer didn't mention most Americans hold Congress in contempt. Instead he mildly rebuked Issa's Boehner's and Cantor's partisan game-playing. The problem of gunwalking was a field-driven tactic that dated back to the George W. Bush Administration, and it was this Administration’s Attorney General who ended it. Attorney General Holder has said repeatedly that fighting criminal activity along the Southwest Border-– including the illegal trafficking of guns to Mexico has been is a top priority of the Department. Eric Holder has been an excellent Attorney General and just yesterday the Chairman of the House Oversight Committee acknowledged that he had no evidence-- or even the suspicion-– that the Attorney General knew of the misguided tactics used in this operation. 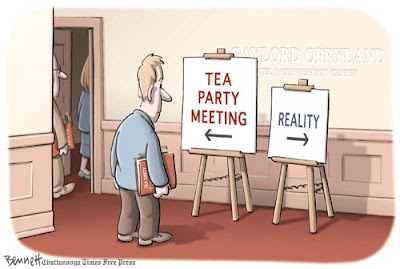 I notice the White House didn't criticize any of the right-wing Democrats who joined Issa's circus today.